In 1959 the Monical family started making pizzas in the little town of Tolono, Illinois. Before long, their recipe became a hit with many of their local friends and neighbors. Thus was born Monical’s Pizza®, a name that over the years has become synonymous locally with the very finest thin crust pizza. 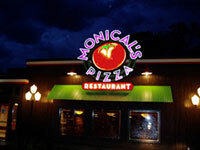 Today there are over 60 Monical’s Pizza® restaurants, primarily located throughout Central Illinois with several in Indiana, one in Missouri, and one in Wisconsin. Monical’s great pizza has evolved into a dining tradition for countless families and into a financially-solid steadily-growing foodservice institution. In an intensely competitive business environment, Monical’s Pizza® has managed not only to keep up, but outpace many of its larger competitors. There are two reasons for this record of performance: People and Vision. The Monical’s Pizza mission is simply stated in our trademarked phrase “The Family Pleaser… People Pleasing People®”. We believe in developing people to their fullest extent. The driving force behind our business is our people philosophy, which encompasses our team members, franchisees, guests, vendors and shareholders. This statement of purpose is found throughout our restaurants and inspires our employees to deliver nothing but the best. We strive to provide memorable dining experiences for everyone that enters our restaurants. People return because of our consistent quality products, detailed service and our warm, friendly atmosphere. 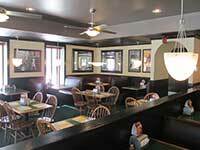 Monical’s Pizza internalizes the importance of people and emulates its “People Pleasing People” philosophy. This approach has resulted in a great organizational culture that is recognized by the restaurant industry in our third straight “Best Practices” nomination and our low management turnover rate of less than 20% for management.